If this card is Link Summoned, you can Special Summon 1 monster from your hand in Defense Position, to your opponent’s zone this card points to. You can target 1 face-up monster this card points to; Special Summon 1 monster from your Deck in Defense Position, with the same Type as that monster, to a zone this card points to, but negate its effects. 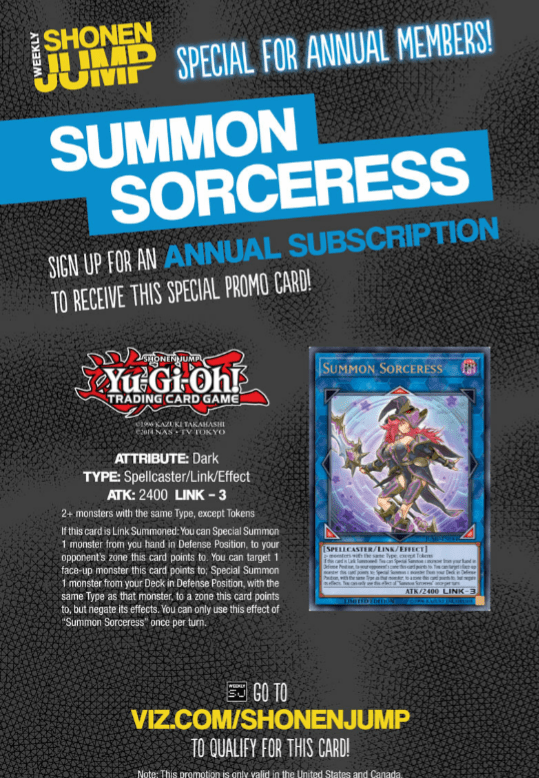 You can only use this effect of “Summon Sorceress” once per turn.